Here are a few examples of recent senior projects. “Da Little Italy a Nolita. Un percorso fra un secolo, una gente e una zona” (From Little Italy to Nolita: A Journey through a Century, a People, and a Neighborhood). A project of creative writing in Italian, a series of fictional stories, one for each decade from 1900 to 2010. The stories recreate the neighborhood of Manhattan’s Little Italy over the years, almost a testimony, lively and loving, of a dramatically changing world. A rich and interesting series of family photographs adds to this thoughtful and inspiring little book the intriguing quality of a “backward” autobiography, fictional, of course, but inspired by real people. An adaptation, ispired by Il cantare di Brito di Bretagna by Antonio Pucci, a 1300 florentine troubador. The cantari were long poems that were recited in the Medieval piazzas. 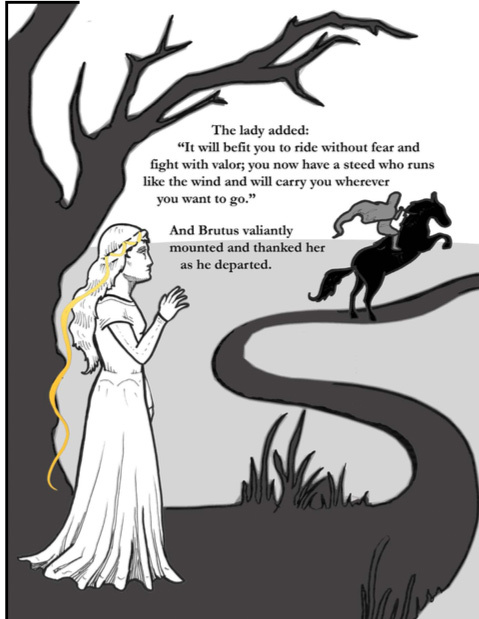 The Song of Brutus, which Molly also beautifully illustrated, is about a knight who faces many adventures for the love of his lady. Translating a literary text from old Italian into English, especially poetry, is a difficult task, that not only requires knowledge of the language, but also an understanding of a different time and culture. A thesis on Benedetta Cappa Marinetti, a Futurist, proto-feminist, painter and poet. 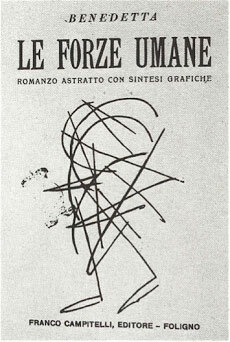 The title uses the artist's signature, appropriated from Ave Maria. It is comprised of an extensive introduction on the relationship between classical, male Futurism, and that of Benedetta Cappa; it is supplemented by extensive analytical interpretations of Benedetta's paintings, and a critical bibliography. Il linguaggio del corpo, il linguaggio della bocca: una ricerca sulle lingue italiane in movimento. This multidisciplinary project is articulated in two parts: a written reflection on the relationship between learning a new language (Italian) and learning to dance; and a dance performance in four movements for eight performers. Il big BOOM nelle strade: Il fenomeno della street art contemporanea attraverso l’artista italiano Blu. An interdisciplinary study on contemporary street art with a focus on Italian artist Blu, the thesis originated from direct experience of Blu’s art on the walls of Bologna, Italy, where Anna studied during her JYA. Analyses of wall paintings and multi-media projects locate Blu both within the international street art world and the specifics of the Italian political and cultural landscape. A collaborative project, which originated with the authors’ JYA experience in Bologna. Caroline and Gabi interviewed fellow ECCo students about their most significant or unusual memories of time in Bologna, and wrote stories in Italian that captured different voices and experiences of the semester abroad. The stories were presented in two formats: as a book, introduced by a reflection on studying abroad and the writing process; and as a blog, accompanied by pictures, which Caroline and Gabi happily share with past and future E.C.Co students: Bolog Blog - Una memoria collettiva dell'autunno 2012 a Bologna.